Given the problems of life, marital or of any other nature, it does not make any sense to say: “If I had not married!” “If my husband or wife was someone else”! 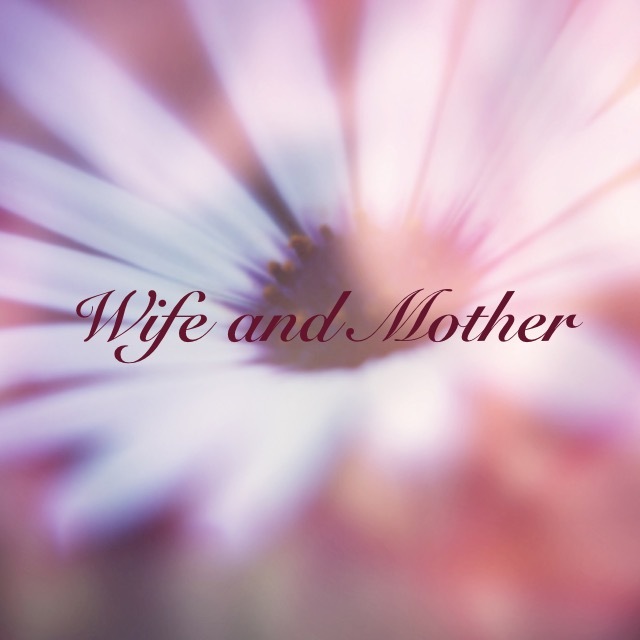 The woman or man you married is what he or she is. Unless he or she dies, unless there is a separation, you will continue next to each other. You need to do something, react and strive to understand and love this person as she or he is. If after so much discord and so many fights in your marriage not even a little bit of love is left, have the humility to ask God for forgiveness and grace to start all over again. God is more interested in your life and the stability of your marriage, than you think. He is the source of love, joy and life. God is your shelter and strength. Anyone who have been married for a month, or for ten years, knows very well that the “happily ever after” phrase does not become a reality in front of the problems and conflicts that are lived in marriage. Although surrounded by dreams and passions, marriage must be addressed within everyday reality, problems in human relationships, lack of patience and incomprehension, financial difficulties, lack of information, resentment in the sexual area, and countless other misunderstandings. Antonio and Margarita have completed fifty years of marriage, the golden wedding anniversary. Anyone who sees them with their white hair, walking from one place to another, imagines the small and large problems they had in their relationship during these long years. The struggles and experiences made them understand that the reality of life should not kill their dreams. However, we cannot live of dreams but of commitments. We have heard: “I promise to love, honor, be faithful until death do us part!” If the commitment of love and loyalty remains in marriage, the reality of life will not destroy it. By the way, this commitment of love and loyalty overcomes any barrier and transforms marriage into a sweet reality. 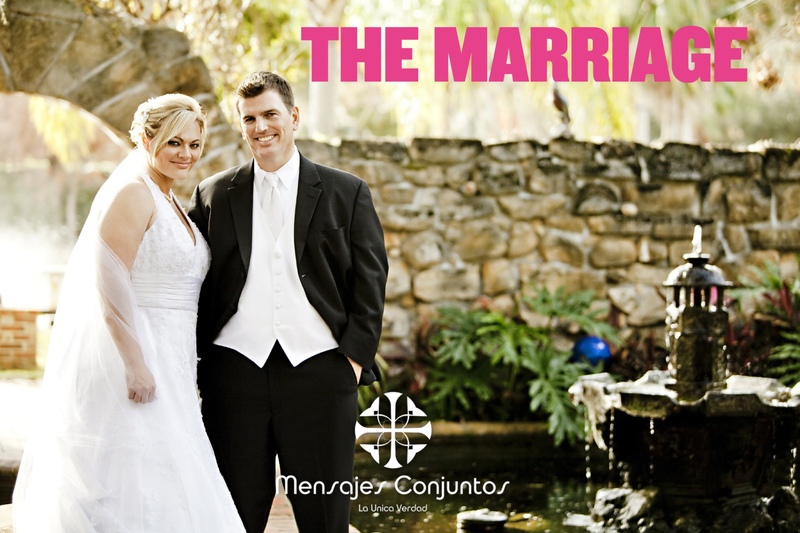 Marriage is consummated, is completed in the sexual union. However, marriage goes beyond physical union. Marriage includes all other areas of life: social, mental and spiritual. They are married! From now on, even though they are two different persons, it is as if they were one person, one flesh. To love your wife is like loving your own body, says the Bible. There are no straight words like these to describe the union between a man and a woman, and that is done through marriage. They describe the union and leave a warning: The body needs warmth, tenderness and resents abuse! There is a lot of sexual depravity and depravity of character in our society; this generates anxiety, emptiness, and loneliness. Unfortunately, there is selfishness, fights and separations between spouses; they always leave behind a trail of suffering and distress. However, nothing can destroy or obscure the union between a man and a woman who was made before God and with his blessing. Such a union brings life, joy, sincerity, comfort and is the basis of society. What God has joined together, no human being will be able to destroy. What is the basis for a stable marriage? Is it love or romance? Or is it, perhaps, economic security? Will this stability be based on cultural instruction? 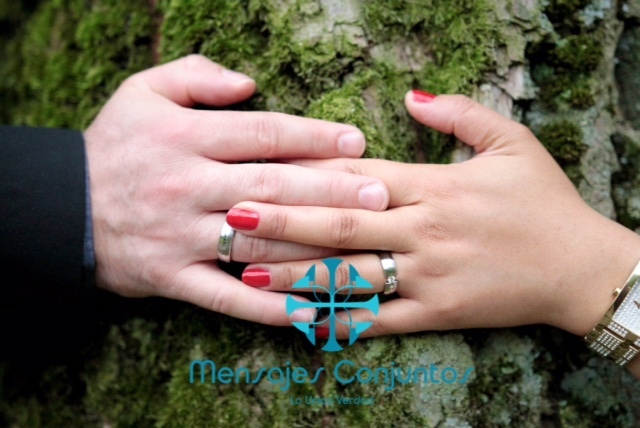 Marriage is based on a serious, voluntary and personal commitment. Generally, this commitment is made public in the presence of relatives, friends and witnesses. The man and woman promise to love, honor and be faithful to each other until death. These promises are traditionally made before the Church and before God. The eternal God knows every word spoken and all commitments made. Therefore, we need to take seriously and not to break the commitment carried out with the person with whom we have married and promised love and loyalty forever. When a man and a woman are able to say to each other: “Despite all the crises, I have promised to love, honor and be faithful, and I keep my word.” It is as if a door opened to solve the most difficult problems and, if necessary, restore the joy and understanding between spouses. The commitment of love between spouses is subject to the instability of human feelings and is God himself who helps us fulfill these commitments. Could it be that marriage is out of fashion? Unfortunately, many think so. They reach the point of saying; marriage has lost its value as the basis of society. For some, marriage is like a golden cage, a sweet prison. It looks at the wife as the “handbrake or the rein”, and the husband as a “corporal of the guard or a powerful male.” So, because of these conflicting positions, marriage has fallen into disrepute in a progressive society and intellectualized. However, marriage is a divine institution. Human institutions are corrupt, fail and remain stagnant, but not so with God’s institutions. And if God instituted marriage, He provided the vital principles for proper operation. Happy are those who apply God’s principles in their family relationships! It may seem difficult at first, but following the directions of God is the only remedy for our conflicts and marital problems. God’s principles are not only a remedy for the problems, but also the way forward to achieve happiness, personal satisfaction and true communion between man and woman. The home consists of a man and a woman. Children are born, grow and then leave. They belong to their parents only for a while. So when the woman’s husband is relegated to the background when children are born, you are making a mistake. All the time is now spent with children and housework. The children take the place of her husband, rather than the commandment of God, he should only occupy. In the situation we have described, the wife has no time for the husband and then he looks at work, fun and often in other women the attention and affection lost from his own wife. Then recriminations come along: Ah! After our children were born, we never had time for us. And it’s true, if a woman is extremely busy with the housework and care of children, she does not have time to cultivate the love of God-given companion. There is time for everything! It’s time to conquer again! We need to learn that the home should be an example of fellowship and that time can be shared among people living in one house.